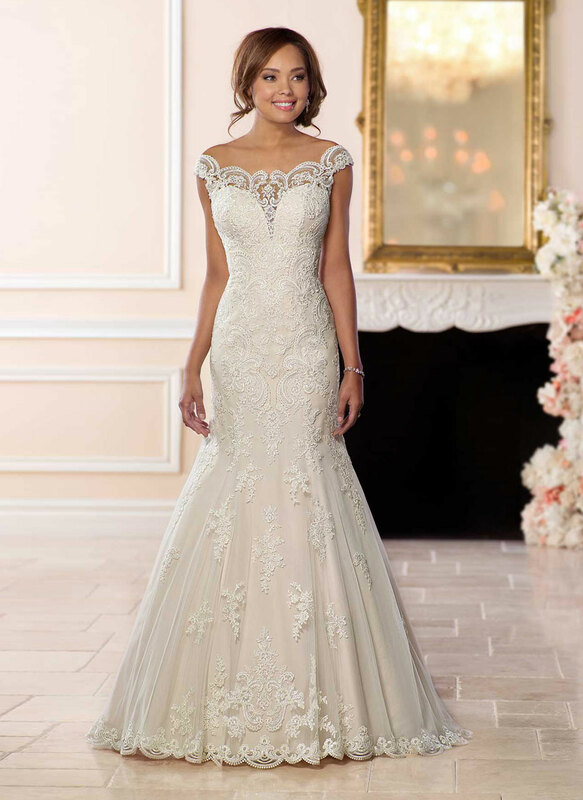 This lace mermaid wedding dress with cap sleeves is the perfect mix of modern-meets-vintage. 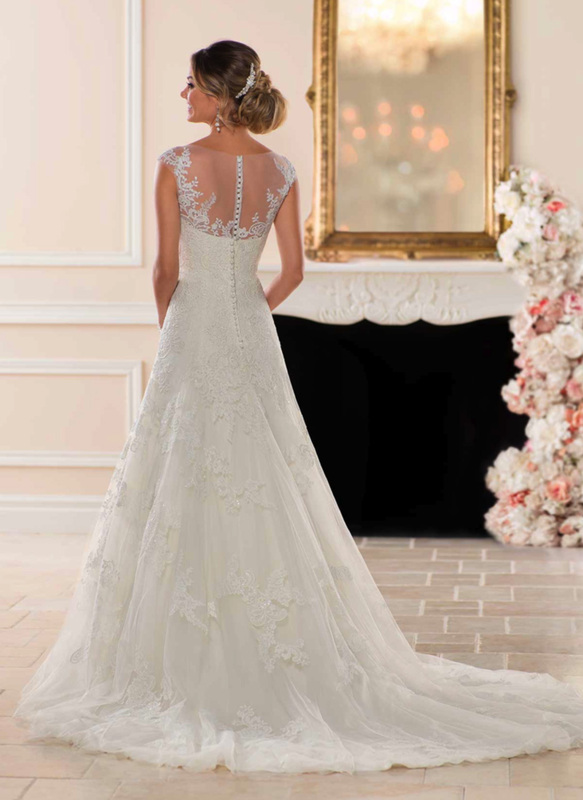 Lace and tulle create an exaggerated silhouette that starts with the plunging V-neckline. 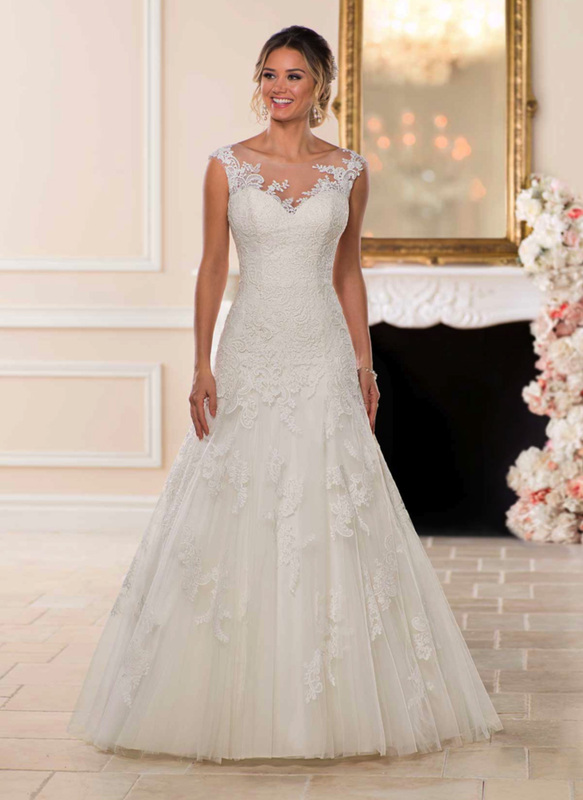 Slight off-the-shoulder cap sleeves are made of hand-cut lace and help to compliment the intricate beading around the neckline. Beaded latticework throughout the bodice and hips creates movement and shape that flatters any body type. The dropped waist gives way to a tulle skirt with hand-placed lace motifs and an unfinished hemline, giving this dress and overall light feeling. 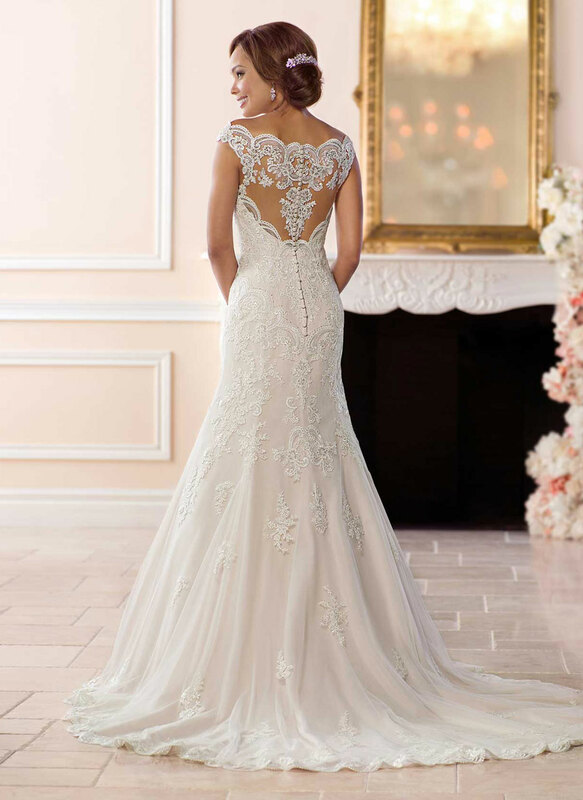 Additional lace patterns on the train are romantic and delicate, so your walk down the aisle will be truly unforgettable!